EU governments have been warned to watch out for 'other radicalised individuals, who have access to, or work in, sensitive areas'. Intelligence services have also been warned to screen returning Jihadi fighters for 'specialist CBRN knowledge'. 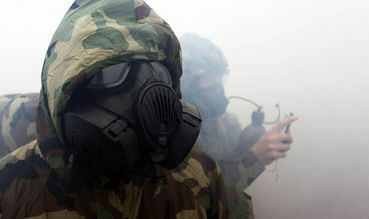 Worse still: 'CBRN substances have been carried undetected into the European Union.